Larus Car Service provides numerous high-class, tailor-made shopping tours, to help you make the most of your visit to Italy and choose what’s best for you while enjoying a unique experience. 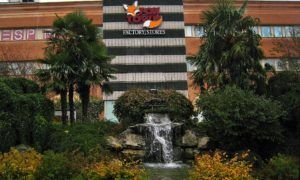 With our car rental with driver we take you to visit the most important outlet in North Italy and Switzerland. For those who book more than one shopping tour there will be a remarkable discount on rates. 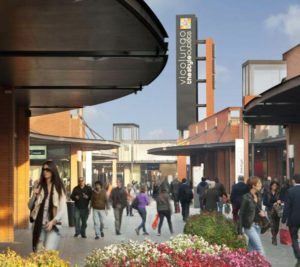 Serravalle Designer Outlet is the largest Designer Outlet in Europe: you can find over 300 of the major Italian and international brands at prices reduced from 30% to 70%. Among the top brands: Armani, Dolce & Gabbana, Gucci, Kiton, Burberry, Pinko, Salvatore Ferragamo, Versace and many more. Visitors will be enchanted by its exclusive boutiques, enticing cafés and restaurants overlooking small cobbled squares in a beautiful settings inspired by the classic Italian architecture. As well as a stunning variety of clothing, accessories and footwear, you’ll find perfumes and cosmetics, sportswear and homewares. Services include free wifi throughout the Center, a children’s indoor play area and payment is accepted by Union Pay and major credit cards. Located in the Swiss town of Mendrisio, FoxTown offers smart shoppers 3 kilometres of shop windows with 160 stores carrying the most prestigious and international fashion brands. Amongst the best designer labels offering year-round savings from 30% to 70% area Armani, Bally, Burberry, Church’s, Fendi, Gucci, Hogan, Loro Piana, Prada, Salvatore Ferragamo, Tos’s, YSL and many more.The renowned Casino, 7 restaurants and bars contribute to transforming a pleasant shopping spree into an unforgettable day. Tax-Free Shopping service is available and payment is accepted by majour credit cards such as Union Pay, Visa, Mastercard, JCB, American Express and more. 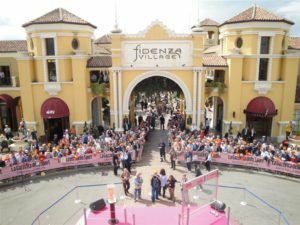 Discover an exclusive experience at Fidenza Village, one of the Collection Villages in Europe, home to more than 100 boutiques of the world’s leading luxury fashion and lifestyle brands offering savings of up to 70% on the recommended retail price. Armani, Brooks Brother, Furla, Lacoste, Missoni, Paul Smith, Swarovski, Timberland and many more. Enjoy a suite of five-stars services at Fidenza Village, including our free app, DHL courier service with special rates, Frequent Flyer partnership to collect them even more miles and free Wi-fi. And to make your day out even more special, take advantage of the complimentary Hands-free Shopping service. You do the shopping, we do the carrying. The closest outlet to Milan, Vicolungo The Style Outlets represents a “must-visit” destination for shopping. The Centre houses 150 stores of fashion, beauty and home collections all offering year-round reductions ranging from 30% to 70%. More than 300 of the best Italian and international brands as: Armani, Alberto Guardiani, Baldinini, Borbonese, Botticelli, Cavalli Class, Calvin Klein, Elisabetta Franchi, Gap, Geox, Guess By Marciano, La Martina, Massimo Rebecchi, Missoni, Patrizia Pepe, Pollini, Swarovski, Tommy Hilfiger, Trussardi Jeans, Twin Set. And for mountaineers sporty & high performance brands like: Colmar, Dolomite, Napapijri, Salomon, The North Face, Timberland. enjoy a break in the centre’s numerous bars and restaurants serving typical Italian food.